Puppy Linux Discussion Forum :: View topic - Puppy Gnome 3.2 & 3.4.2 !! Puppy Gnome 3.2 & 3.4.2 !! Posted: Thu 19 Jul 2012, 10:13 Post subject: Puppy Gnome 3.2 & 3.4.2 !! Curiosity, Armstrong, I think the space conquest is at the center of our lives at the moment... I release today, a new version, more stable with Gnome 3.4.2, with a "space theme", in honor of our progress on the worlds around us. [NEW]: Gnome 3.4.2 update ! -light, 215mo, 215mo with Gnome 3.4.2 ! 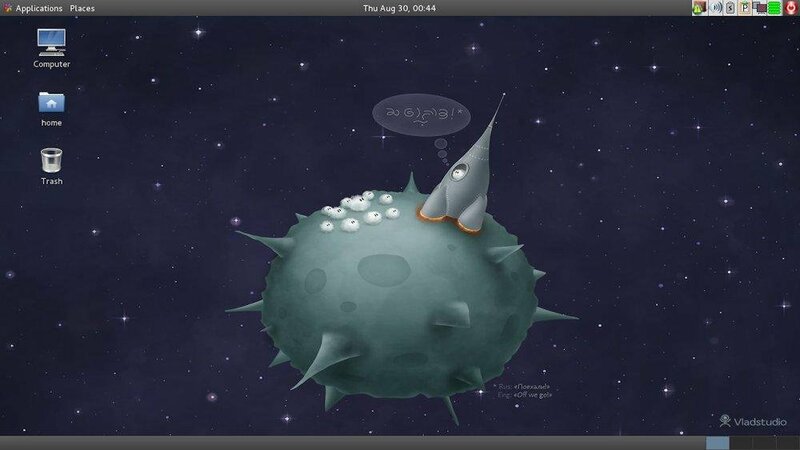 In continuation of the project on the derivative of Slacko with Gnome 2.32, I have dwelt on this subject: Gnome 3.0. I release an iso first, with the Gnome 3.2, this an Alpha version. This is of course a test version. 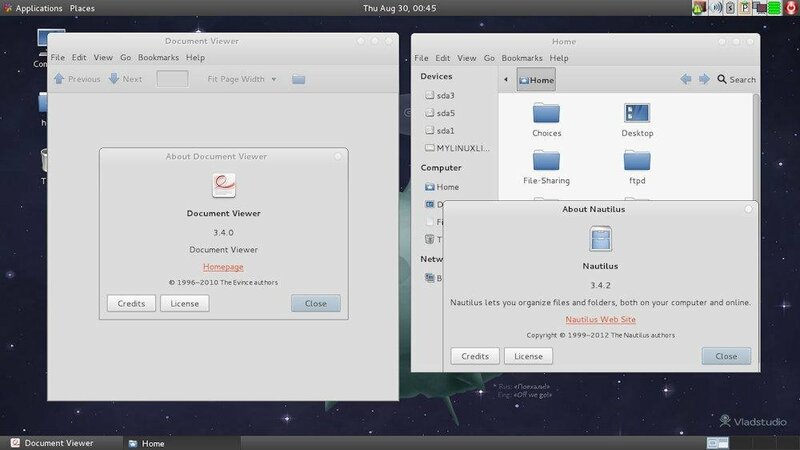 -To get the icons on desktop, simply launch nautilus. Posted: Thu 19 Jul 2012, 10:36 Post subject: Re: Gnome 3.2 on Puppy ? Subject description: A possibility ! I would just show you this picture that sums up a big possibilty. For now, only Gnome-shell does not work, but a solution should be found! I could update many more applications ! Would you agree with this idea? Gnome 2.32: yes. Gnome 3.x: NO! As a person who has always hated Gnome, I am now a Gnome convert with your 2.32. You have done a fabulous job with 232. Don't afflict Puppy with Gnome3. BTW, 232 won't resize a savefile. BTW, won't resize a savefile. Confirmed. resizepfile.sh does not write file pupsavresize.txt . I haven't had time to look closely. Can anyone spot the bug? It is possible to resize by creating a file pupsavresize.txt and place at /mnt/home. Inside pupsaveresize.txt put a number, 1024 for each mb to be added. For example to add 32 mb to savefile size put 32768. Reboot and it will run the resize routine. What's weird is that the script works through JWM. Posted: Fri 20 Jul 2012, 07:54 Post subject: Re: Gnome 3.2 on Puppy ? You've done some fine work with 2.3.2. Keep it up with 3.0, don't let others who don't like change discourage your initiative. If you replace resizepfile.sh with the one from Racy 5.3 it works. Thank you for the support, I confess I did not expect so many cons. I do not understand why gnome attracts both barrels, is it the weight? Consumption of memory? @ Terryphi, thank you for the tip, I'll try. First ISO to test, in the first post. Why is there no LXDE puppy? Why are people trying to introduce lag into the puppy community? There's plenty of desktop environments to choose from that are more intuitive and fun to use then Gnome 3, believe me. ...And let me guess, someone will try to make a Unity pup. Wait no! I don't want Unity either! Intuitive and fun for you, not for everyone. I think it's good to have choice and I'm sure a vast majority of the Puppy community agrees with me - some like GNOME 3 just as much as you like LXDE and Equinox. Jejy69 - great work! Have you considered making a MATE Puppy? I began exploring its dependencies, maybe I'll automate the compilation. Unity ? What is this extremism ? What do you mean by lag? Laggy Puppy ? What's your ? If you do not like, I can understand, expressed yourself properly, your opinions intelligently, and give a constructive opinion helpful. Great work! Have you considered making a MATE Puppy? I began exploring its dependencies, maybe I'll automate the compilation. MATE ? Yes, it's an objective, and I must admit I am also tempted by cinnamon. If you succeed, let me know! Yes, some not ! it begins quite well then, if all services are running. I put online soon locales, and docs.